Privacy is important for BIOINICIA SL. This statement contains the practices related to the processing of personal information on the websites of BIOINICIA SL, such as the kind of data that is collected, the monitoring, use and disclosure of the same. In BIOINICIA SL. We understand that the privacy and security of your personal information is extremely important. Therefore, this policy establishes what we do with your information and what we do to keep it safe. It also explains where and how we collect your personal information, as well as your rights over any personal information we have about you. This policy applies to you if you use it through our mobile applications or otherwise use our websites or interact with us on social media (our “Services”). Registered address: C/Algepser, 65 – Nave 3 Polígono Industrial Tactica de Paterna, 46980 (Valencia). Personal data are collected for specific, explicit and legitimate purposes and are not treated in a manner incompatible with such purposes. Personal data are adequate, pertinent and limited to what is necessary in relation to the purposes for which the treatment occurs. Personal data must be accurate and up-to-date. Inaccurate data will be updated or deleted. Personal data are kept safe through adequate and effective technical and organizational measures against unauthorized or illegal treatment and against loss, destruction or accidental damage, through the application of appropriate technical or organizational measures (“integrity and confidentiality”) . Of cookies: We can also collect information about “cookies” that we can store on your computer or mobile device. Cookies are small data files stored on the hard drive or in the device’s memory. For more information about the use and purposes of the cookies we use on the website www.puffinsecurity.com you can access our cookies policy. However, you can change your browser options to stop accepting cookies or ask before accepting a cookie from the websites you visit. However, if you do not accept cookies, you may not be able to use all aspects of our services. When proceeding to the subscription to the newsletter of www.puffinsecurity.com. When comments are made in the posts published in the blog. Attend and answer the communications or requests received either through the email or the contact form of the WebSite www.puffinsecurity.com. The legal bases are linked to the purposes of the previous point according to the letters assigned in the table. Legitimate interest of BIOINICIA SL in attending the inquiries and requests of the interested party, justified by the interest shown in contacting and receiving information from BIOINICIA SL, at a minimum interference with their privacy and the use of limited data (contact data. Consent that is requested when you subscribe to the Newsletter. The interested party can withdraw the consent at any time. In no case the withdrawal of consent will condition the provision of other services. The consent granted with the action itself to make comments on the blog. The interested party can withdraw the consent at any time. In no case the withdrawal of consent will condition the provision of other services. Name, Surname, email, telephone, Organization, message. BIOINICIA SL only stores your personal information to the extent that we need it in order to use it for the purposes indicated in point 5, and according to the legal basis of the treatment thereof in accordance with applicable law. Your personal information will be maintained as long as there is a contractual and / or commercial relationship or until you exercise your right to delete, cancel and / or limit the processing of your data. Once the relationship with you has terminated for any of the reasons indicated, the information will be duly blocked, without giving any use, while it may be necessary for the exercise or defense of claims or may derive some type of judicial, legal or Contractual treatment, which must be attended and for which recovery is necessary. The data linked to the newsletter will be kept indefinitely until the interested party requests its deletion. The data will be kept indefinitely as long as the interested party does not request its deletion. 9. Recipients or third parties to whom we can communicate personal data. 1. For the fulfillment of our legal obligations: when the disclosure is necessary to comply with our obligations with laws, regulations, legal processes or governmental requests that affect us. 2. For the formulation, exercise or defense of claims or when the courts act in the exercise of their judicial function: In certain circumstances, the disclosure of personal data may be mandatory because it is subject to a request, order or judicial summons. 3. In sales, merger, acquisition or similar operations: If we are involved in a merger, acquisition, sale of all or a substantial part of our assets or other similar sales transaction, your information may be transferred as part of that transaction . We will notify you by email and / or a prominent notice on our website about such a transfer and any decisions you may have regarding your information. a. Hosting services Hosting in order to perform their hosting and email services. 5. Aggregate or Unidentifiable Data: We may share aggregate information or other non-personal information that does not identify you directly with third parties to improve the overall experience of our Services. BIOINICIA SL informs that it implements and applies appropriate technical and organizational security mechanisms and measures to guarantee a level of security of treatment appropriate to the risk. To this end, BIOINICIA SL based on an objective assessment has identified, analyzed and evaluated the risks of probability and severity variables for the rights and freedoms of natural persons (risk assessment phase) and, consequently, BIOINICIA SL in the risk treatment phase has applied timely and effective security mechanisms and measures to eliminate or mitigate the risks identified in the risk assessment phase. Specifically, appropriate and effective technical and organizational measures are adopted to mitigate the risks of destruction, loss or accidental or unlawful alteration of personal data transmitted, conserved or otherwise processed, or unauthorized communication or access to said data. Likewise, BIOINICIA SL guarantees the user the fulfillment of the duty of professional secrecy and confidentiality with respect to the personal data of the users and the duty to keep them. You have the right to access the personal data we have about you (with certain limits). Obviously unfounded, excessive or repetitive requests may not be addressed. To exercise this right, contact us by any of the means indicated below. You have the right to have your personal information rectified when it is inaccurate or has ceased to be valid or to have it completed when it is incomplete. To exercise this right, contact us by any of the means indicated below. If you have an account, it may be easier to correct yourself by modifying your profile. In certain cases, you have the right to have your personal data deleted or deleted. It should be noted that this is not an absolute right, since we may have legal or legitimate reasons to keep them. If you want us to delete your personal data, please contact us by any of the means indicated below. You can unsubscribe from our direct marketing communications at any time. The easiest way to unsubscribe is by clicking on the “Unsubscribe” link in any email or communication that we send you. If not, you can always send us an email to: info@puffinsecurity.com or call +34 987 950 796. To oppose the profiling, please contact us by the means indicated below. In the case that consent has been granted for any of the purposes reported and determined in the treatments to which we refer we inform you that you have the right to withdraw consent at any time, without affecting the legality of treatment based on the consent prior to its withdrawal. To find out which treatments are based on consent, we refer you to point 5 of this policy. If you wish to withdraw your consent, please contact us by any of the means indicated below. You may object at any time to our processing of your data when the treatment is based on the satisfaction of legitimate interests. To find out which treatments are based on consent, we refer you to point 5 of this policy. If you wish to exercise this right, please contact us by any of the means indicated below. Do not hesitate to contact us by any of the means indicated below before submitting a claim to the competent authority on data protection. You have the right to receive the personal data that you have and that you have given us in a structured format, of common use and mechanical reading, to be able to transmit them to another person responsible for the treatment, when the treatment is based on the execution of a contract or on your consent and the processing is carried out by automated means. To find out which treatments are based on consent, we refer you to point 5 of this policy. For more information, contact us by any of the means indicated below. You have the right to request limitation of the processing of your data. If you exercise this right, the processing of your data will be subject to limitations, so we can store them, but we can not continue using them or treating them. • that the interested party has opposed the treatment under article 21, paragraph 1, while verifying if the legitimate reasons of the responsible party prevail over those of the interested party. If you wish to exercise this right, please contact us by any of the means indicated below. At any time you can proceed to the deactivation of Cookies. As a general rule, the configuration of Internet browsers is usually ready by default to accept cookies, however, you can easily disable them by changing the browser settings. Many of the cookies are used to improve the usability or functionality of the websites, therefore, if you disable them, it may prevent you from enjoying all or part of the services provided through our website, you may have usability problems or have problems with your session if you start one. How can you exercise your data protection rights? ,o exercise the rights, you must submit a letter to Avenida de la Magdalena 9, 24009 León, España, or to the following e-mail: info@puffinsecurity.com indicating in the subject “RGPD Puffin”. It must specify which of the rights it requests to be satisfied and, in turn, it must be accompanied by a photocopy of the ID or equivalent identification document. If you act through a representative, legal or voluntary, you must also provide a document proving the representation and identification document of the same. In order to comply with the principles of privacy, especially the quality of the data BIOINICIA SL we inform you that you only need to provide your own personal data and not that of another person, unless you represent it legally. Likewise, in order to optimize the quality of the information, we need your data to be correct, current, accurate and true. The use of the Service is not allowed to minors, so if it is less than 16 years, we will water you to renounce to use the services of our website. 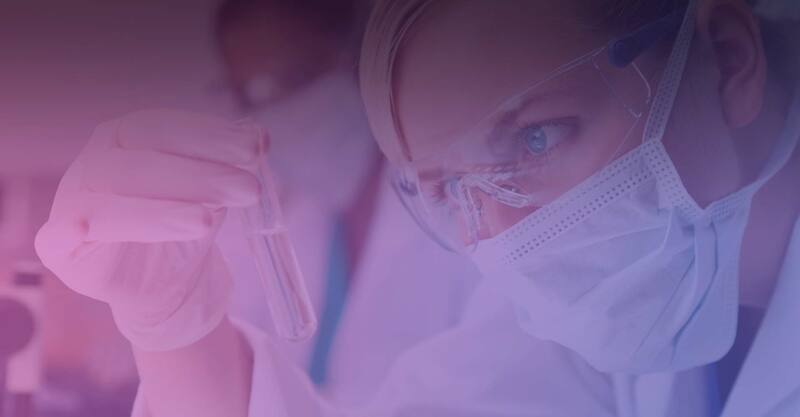 BIOINICIA SL may request information or additional documentation in order to verify the age of the interested party, taking into account the available technology. The user is the only source of information of their personal data, so BIOINICIA SL, asks that, in order to keep your data updated and updated at all times in accordance with the principles of the RGPD, communicate to the address indicated for the exercise of the rights of access, rectification, cancellation and opposition, any variation thereof, as well as the cessation of its activity in the entity it represents, if applicable, to proceed with the cancellation and / or treatment historical of them. In the case of those users with whom there is a prior contractual relationship, BIOINICIA SL is authorized to send commercial communications concerning products or services of the BIOINICIA SL that are similar to those that were originally the object of contracting with the client. . In any case, the user can request the exclusion on a voluntary basis to not receive more commercial information through the Customer Service channels after proving their identity, or by unsubscribing from the advertising e-mail itself. a) The treatment of your personal data in the environment of said social network and in accordance with its Privacy policies. b) the access of BIOINICIA SL to the data contained in your profile or biography, depending on the configuration you have of your privacy in each network, these will be more or less extensive. c) That the news published about our events, or our comments may appear on your wall or biography. d) To receive communications about our products / events. If you want to stop following us, just click on the option “Stop being a fan” or “stop following”. BIOINICIA SL reserves the right to modify this policy to adapt it to future legislative or jurisprudential developments, as well as industry practices, previously informing users of the changes that occur in it. The uninterrupted use of BIOINICIA SL by the User will constitute a ratification of this document, with the modifications and changes that have been introduced.For the same reasons previously mentioned, BIOINICIA SL reserves the right to modify or interrupt the BIOINICIA SL Service in whole or in part, having mediated or not notification to the user. BIOINICIA SL will not be liable to the User or to third parties for having exercised their right to modify or interrupt the BIOINICIA SL Service.